Can't attend today's Hack My Ride 2.0 Showcase and Awards Ceremony in VTA's San Jose Innovation Center, but want to find out in real-time who won? Tune in to the live stream at 11:30 a.m. PDT to see the winners announced live, thanks to our sponsors at Microsoft: https://youtu.be/1FlFp-Bad4Q. Please share the link with any friends, family or colleagues you think may be interested in seeing the lightning talks and prize announcement today. Come See the Winning Apps! Want to find out who won Hack My Ride 2.0? Please join VTA's Hack My Ride 2.0 app showcase and awards ceremony on Nov 3 from 11 am to 1 pm in our Innovation Center. VTA's General Manager and CEO Nuria Fernandez will be announcing the app challenge prizes totaling $30,000. App challenge participants will also be demonstrating their apps in an open house-style showcase. 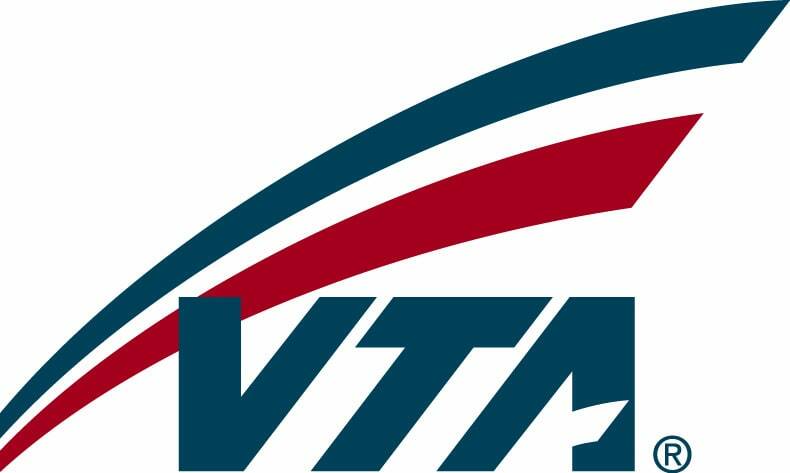 This is a great chance to mingle with other transportation hackers and VTA staff. Will you join us? Please RSVP and see the details at http://hackmyride2showcase.eventbrite.com. Want to find out who won? Please join VTA at our Hack My Ride 2.0 app showcase and awards ceremony on Nov 3 from 11 am to 1 pm in our Innovation Center. VTA's General Manager and CEO Nuria Fernandez will be presenting the app challenge winners with prizes totaling $30,000. App challenge participants will also be demonstrating their apps in an open house-style showcase. This is a great chance to mingle with other transportation hackers and VTA staff. Public voting for Hack My Ride 2.0 ends Wednesday Oct 7 at 5 pm. Make sure you browse the Submission Gallery and vote for your favorites by then! If you’ve entered a submission, spread the word through your social networks and by email so you have the best chance of winning the $1,500 Popular Choice prize. We're seeing a front-runner emerging, but there's still time for you to catch up and take the lead! The public voting period for Hack My Ride 2.0 has begun. Browse the Submission Gallery and vote for your favorites! If you’ve entered a submission, be sure to spread the word through your social networks and email so you have the best chance of winning the $1,500 Popular Choice prize. Thank you for your creativity and hard work! It's past 5 p.m. here in Silicon Valley, and the submission period is now closed. Thank you all for your hard work, creativity, and passion for improving transportation. We look forward to looking more closely at what you've submitted! Judging: From Sept 24 to Oct 7, our panel of judges will closely review and evaluate each of your submissions, rating them according to the Criteria listed on the challenge site. You'll need to submit your apps for judging by tomorrow, Thursday, Sept 17 at 5 p.m. PDT, and we wanted to remind you of how to prepare your submission for testing. We're very excited to see what you've all created! Please read the complete rules, see the testing requirements below, and make sure you include all of the elements required for a qualifying submission on the challenge home page. You only have a couple more days to put the finishing touches on your submissions and polish them before the deadline: Thursday, Sept 17, 5 p.m. PDT (San Jose time). Have you signed up for our livestreamed Q&A webinar on Friday August 28? VTA, Microsoft Silicon Valley and Kontakt.io will be hosting this webinar to answer your questions about Hack My Ride 2.0 and the Bluetooth beacons we hope you'l help us test. This Q&A was rescheduled from earlier this month due to a severe traffic backup that delayed the presenters. Thank you for your patience and we apologize for the last-minute cancellation. With the Sept. 17 deadline to submit to our $30,000 app challenge fast approaching, now's a great time to ask all your burning questions! Have you signed up for our livestreamed Q&A webinar on Friday August 28 from 10-11 a.m. PDT? VTA, Microsoft Silicon Valley and Kontakt.io will be hosting this webinar to answer your questions about the Bluetooth beacons we’re testing and generally about Hack My Ride 2.0. This Q&A was rescheduled from earlier this month due to a severe traffic backup that delayed the presenters. Thank you for your patience and we apologize for the last-minute cancellation. With the Sept. 17 deadline to submit to our $30,000 app challenge fast approaching, now's a great time to answer all your burning questions! Have you signed up for our livestreamed beacons Q&A webinar on Thursday August 6 from 10-11 a.m. PDT? Please RSVP to the meetup now so you'll receive updates about the Q&A. Invite your team, friends, classmates or colleagues via email and social media! VTA, Microsoft Silicon Valley and beacon manufacturer Kontakt.io will be hosting this webinar to answer your questions about the Bluetooth beacons we’re testing and generally about Hack My Ride 2.0. With less than two months left to submit an app to our $30,000 app challenge, we're also interested in hearing what you’re working on! Please fill out this short survey to help us understand what you’re working on and how we can help. Don’t worry, you won’t have to spill any trade secrets, and we’ll keep your responses between you and VTA unless you give us permission to share. Does My App Have to Be in the App Store? We hope you'll join VTA today, July 22, from noon to 1 p.m. for our livestreamed virtual Q&A about the beacons we're testing in our system as part of our Hack My Ride 2.0 app challenge. We'll have a representative of the manufacturer of the beacons we're testing, Kontakt, and VTA representatives who can answer technical questions, suggest use cases, and help you develop the best app challenge submission possible. VTA will be hosting and LIVESTREAMING a live Q&A on Wednesday July 22 from noon to 1 p.m. to answer your questions about the Bluetooth beacons we’re testing and generally about Hack My Ride 2.0. With less than two months left to submit your app at that point, we’ll also be interested in hearing what you’re working on! If you haven't registered for Hack My Ride 2.0, learn more and sign up today at hackmyride2.challengepost.com. To help you test your app if it works with beacons, VTA has installed a test deployment of 10 beacons at the Great Mall Transit Center in Milpitas. Click here for the location of these beacons and a photo of each. You can access these beacons, which only broadcast their device ID at this point, using the API key above. Please go out to the transit center to test how your app interacts with the beacons, and let us know if you have any questions or suggestions by emailing social@vta.org. Hack My Ride 2.0 offers you $30,000 in prizes and a challenge: create technology with the potential to transform how we get around in Silicon Valley. VTA is asking you to build working apps and tools that will make it easier for people to plan trips, connect with their surroundings, and enrich their transportation experience. This is a three-month online app challenge open to anyone in the world with a great idea and the talent to execute it.